Homestead exemptions can lower your property taxes. 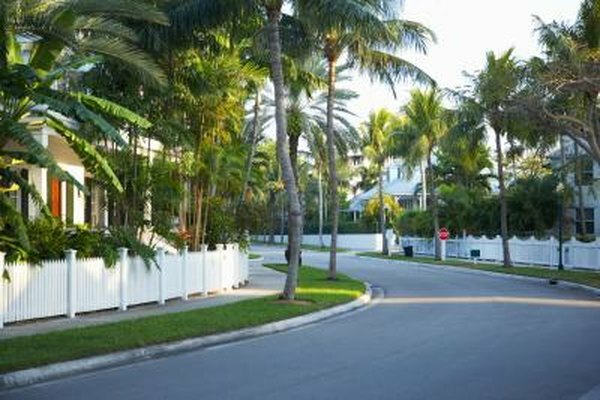 Florida residents can take advantage of several homestead exemption categories to reduce their property taxes. The county property appraiser handles the processing and approval of the application, which is available online and at the county office. The application must be filed by March 1 to get the exemption for the next year. Check to see if this is a new, change or addition application, beginning at the top left of the page. The applicant and co-applicant must fill in their names, Social Security numbers or immigration numbers, dates of birth, percentage of ownership, and date of occupancy. Check the box by your marital status. Fill in the parcel ID number or legal description. Fill in the type and date of the deed and the book, page number and date it was recorded. Check whether you filed for homestead exemption last year. Fill in your county and the tax year. Under the "Application for" heading, check the box beside Homestead Exemption. Under Added Benefits, check the box beside other homestead exemptions you can claim. Residents 65 or older with a limited income can claim an additional exemption up to $50,000. Widowed, blind or disabled residents get a $500 exemption for each category. All property taxes are exempt for quadriplegics, paraplegic or hemiplegic people, and the legally blind. Select the appropriate box if you are a veteran 65 years or older, a service-connected 100% disabled veteran or wheelchair-confined veteran, or a 10% or more disabled veteran from wartime service. You must provide proof of disability from the Department of Veterans Administration or the U.S. government. Complete the Proof of Residency for All Owners section by first answering if you or the co-applicant claim homestead exemption in another state. Fill in any residency outside of Florida; your Florida driver license number or Florida ID number; evidence of relinquishing another state’s driver license; Florida vehicle tag number; and voter ID number. Enter the residency date if you have a declaration of domicile. Next, enter your current employer; the address you listed on your last IRS tax return; your children’s school location bank statement and checking account addresses; and proof of payment of utilities at the homestead address for the applicant and co-applicant. After reading the information, the applicant and co-applicant must sign and date the form and provide their phone numbers. Find deed information on your recorded deed or call the Clerk of the Court's office. Can You File a Deceased Taxpayer Return Electronically?